Hair feeling the heat? Try TRESemme Keratin Smooth Heat Defense Spray to help shield your hair against the damaging effects of heat styling and seal in shine. 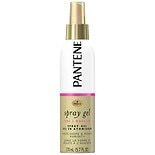 Perfect anti-frizz spray. Heat styling is a great way to transform frizzy hair into smooth locks. But if you don't protect your hair, you could end up with dry, damaged hair that's frizzier than ever. When you want a smooth, frizz-controlled style you should never settle for limp locks or poker straight hair that's stiff and sticky. TRESemme Keratin Smooth System, with Keratin and Marula oil from Africa, gives you 5 smoothing benefits in 1 system-fight frizz, detangle knots, boost shine, add softness and tame pesky flyaways- for hair that's silky smooth and still full of natural movement. After shampooing and conditioning, lock in your style with TRESemme Keratin Smooth Heat Protect Spray, which helps shield hair from heat up to 450 degrees F, so you can smooth your way to professional-quality polish. Start with TRESemme Keratin Smooth Shampoo and Conditioner. 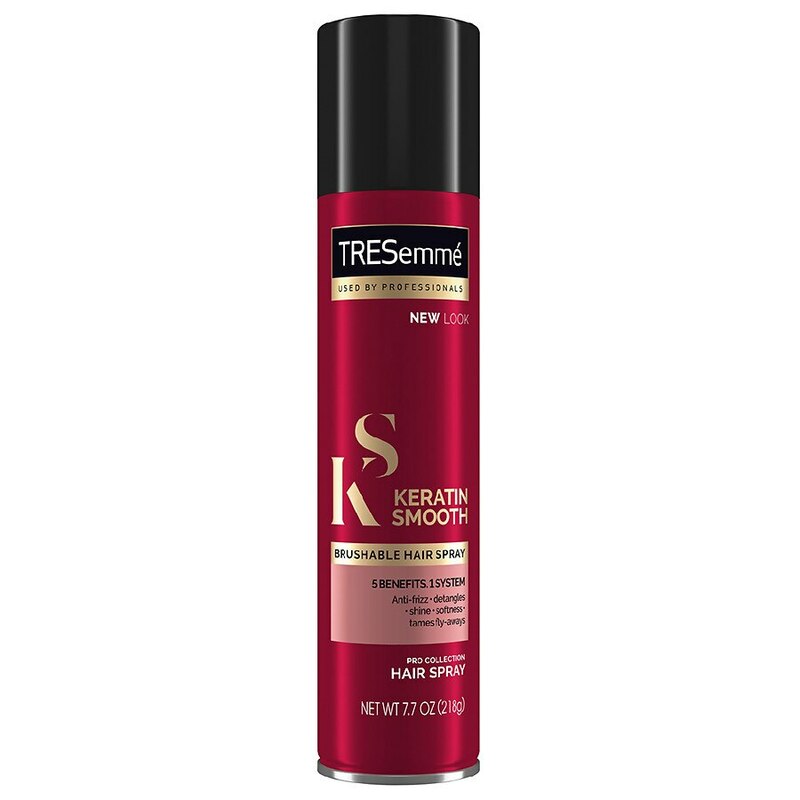 Spray TRESemme Keratin Smooth Heat Defense Spray liberally onto damp, towel dried hair and comb through. Style with heat as usual, ensuring that when blow drying the nozzle of the hair dryer is pointing downwards to aid the smoothness of your hair. 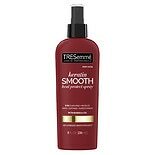 TRESemme Keratin Smooth Heat Protection Spray helps shield hair from the damaging effects of heat styling-and seals in shine. How to get silky smooth: After prepping with the TRESemme Keratin Smooth Shampoo and Conditioner and styling with the Keratin Smooth Shine Serum, spray Keratin Smooth Frizz-Free Hold Hairspray over your finished look, holding the can 10-12 inches away. Pantene Pro-V Curl Scrunching...5.7 oz.